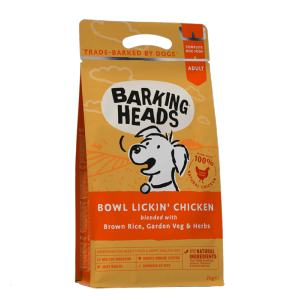 Bowl Lickin' Chicken was carefully developed as a nutritionally-positive, natural premium food for all types of dog. There’s no wheat or barley (they’re harder to digest) and it’s packed with lovely proteins, Omega-6 and Omega-3 fatty acids to help keep coats shiny and healthy. Tender Loving Care also contains ground oats which is a slow-release, easy to digest grain and helps to keep cholesterol low.